At the Labour party's annual conference in Brighton, a delegate fainted mere moments after starting a speech. A Labour delegate, Hazel Malcolm-Walker, fainted on the main stage of the party's annual conference in Brighton on Tuesday, September 26. Malcolm-Walker, representing Bournemouth West, was taking part in a debate on the floor of the conference in the morning, speaking out over the closure of the Accident and Emergency department in Poole, England, and calling for more discussion on the subject. "We're not asking for much, we're asking for five minutes of conference's time, so you can show our support for newly target seats in Bournemouth East and Bournemouth West," her oratory began. However, as initial audience applause faded, she said, "I'm not feeling… oh God," and collapsed to the floor. Cameras cut away quickly and paramedics rushed to the stage to attend to her — she eventually left in a wheelchair, waving to the audience and high-fiving a colleague, to a chorus of cheers. The cause of the collapse and her current condition is not clear. The session resumed shortly after, with the chair thanking staff and medics for their speedy response. Corbyn-Led Labour Gov't v UK Establishment: The Mother of All Struggles to Come? 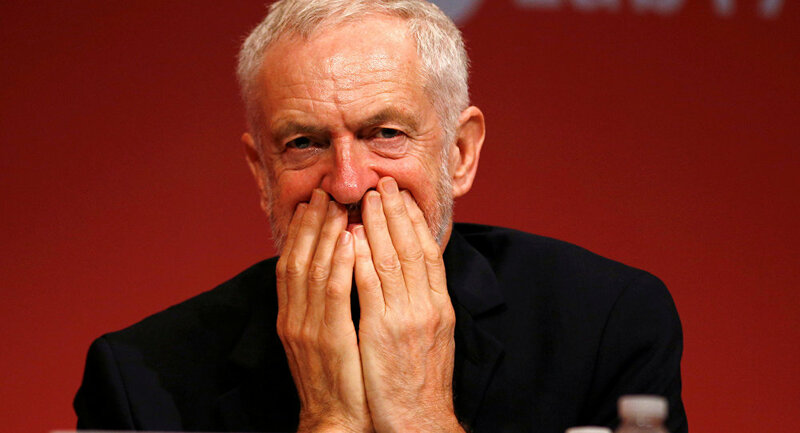 Labour's conference has entered its third day in Brighton on Tuesday, as delegates debate changes to the party's constitution, including tougher language cracking down on anti-Semitism. On September 25, Shadow Chancellor John McDonnell announced plans for a cap on the total interest anyone can pay to a credit card company, following the release of figures indicating UK citizens are among the most indebted in the world, owing a collective US$2.09 trillion (£1.55 billion) as of July, up from US$2 trillion a year prior.